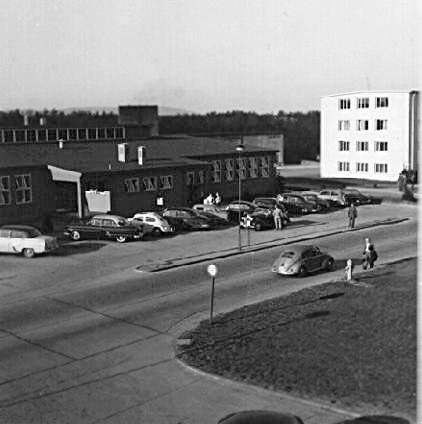 Building 213 was a dining facility for military members stationed at Sembach. Bldg 213 is now the Air-Ground Operation School (AGOS). 1959 Photo by Chuck Maki.